Miracles. As a society, we’re somewhat obsessed with them. At the very least a bit preoccupied. From Al Michaels’ 1980 on-air query, “Do you believe in miracles?” to the oft-proclaimed exclamation, “It’s a Christmas miracle!” it’s clear we’re hungry for miracles and we’ll declare almost anything without a clear explanation a miracle of one sort or another. But what is a miracle? And why are they such a big part of our vernacular? Whether you go with a dictionary definition or a theological one, it boils down to something that can’t easily be explained away. And historians – Christian and atheist alike – agree, Jesus performed them, and they still occur today. In our Miracles series, Pastor Ron will unpack a number of miracles, leading up to the greatest miracle of all: the resurrection of Jesus Christ. In his introduction to this series, Ron explained the four reasons Jesus performs miracles: Miracles are performed for glorification, revelation, salvation/redemption, or restoration. Every miracle is intended to glorify Jesus. Each one is also usually intended to either provide revelation about Jesus, bring about redemption (also called salvation), or provide restoration. 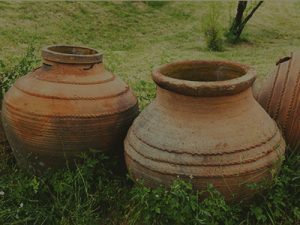 In week one, Pastor Ron looked at the Wedding at Cana where Jesus turned water into wine. This first miracle was aimed at revelation. At the time Jesus performed the miracle, there were very few who actually knew who He was. His mother knew – and that’s clear in their exchange when the need for wine came to her attention (vv 3-5). But the disciples had only been with Him a short time at this point. They may have been hoping. They may have been trusting. But they could not have yet known Jesus is indeed the awaited Messiah. After this, though, they knew He was who they hoped He would be. Want to know more? Take a listen to message 1 in RPC’s series on miracles.